Jim Renacci likes to play up his experience in the business world as a key qualification for political office. But it’s clear there is one lesson Renacci never learned during his time running nursing homes and car dealerships: the long-cherished business mantra about the customer always being right. A quick look at Renacci’s social media feeds provides plenty of proof. For example, when Ohio voters ask questions on Renacci’s campaign Facebook page, they are personally attacked and called liars; and their questions and concerns are summarily dismissed by Renacci as “fake news” or “Democrat talking points”. 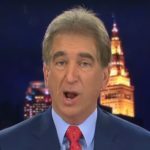 In a recent Facebook post about a campaign event, Renacci was asked about potential cuts to Social Security, Medicare and Medicaid programs in the recent House budget proposal. When challenged by another constituent about his support for the 2019 House GOP budget which does, in fact, propose huge cuts to programs like Social Security, Medicare and Medicaid, Renaacci again goes on the attack. “…read something other then (sic) progressive rags”, Renacci rudely spews at one of his constituents. In fact, Renacci has long supported major destructive changes to social programs. In 2011, for example, Renacci supported Paul Ryan’s budget proposal that would turn Medicaid into a block grant program, and eliminate Medicare in favor of vouchers for private insurance. That proposal would have inflicted extensive damage on seniors in Renacci’s house district. This year’s proposal is no different. But instead of answering questions about the 2019 GOP budget proposal, Rencci would rather berate his constituents over their use of the word “vote”. We have to believe that Renacci doesn’t hang out at his car dealerships berating customers for asking questions about motor vehicles. That would be totally nuts, and it would drive sales into the gutter. That’s clearly no way to run a business. And yet, Renacci is using his campaign website for exactly the same purpose. That’s clearly no way to run a campaign for federal office. There He Goes Again: Trump’s Electoral College Whopper Is Troy Balderson The Next Rick Saccone?